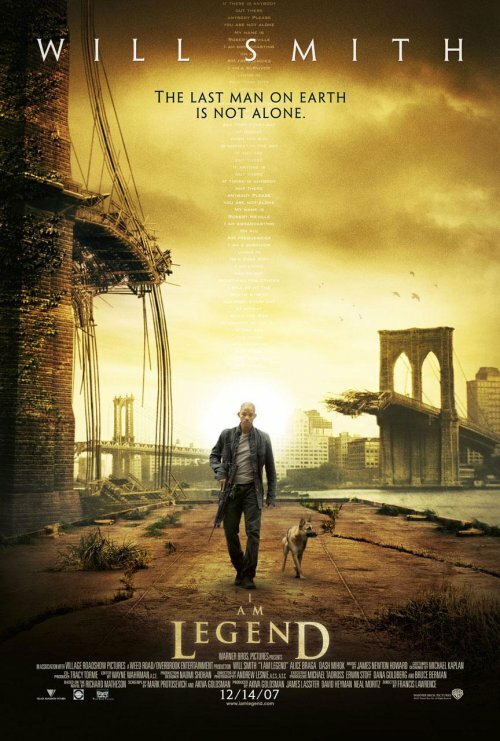 I thought that the first trailer for I Am Legend used the sight of a desolated and destroyed New York to very good effect. And I think the new poster does the same. The background gives a sense of the film’s setting and story, and it makes the whole poster much more interesting to look at than the first one. I’m also digging the color scheme that is being used in these posters. It’s unique enough to call attention to itself, but not weird enough to take away from the rest of the poster. Certainly a good way to give the image a more distinctive look.